TSO Sugar Land is available for Eye Emergencies! 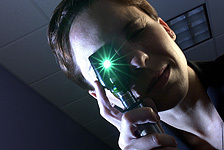 In general, if you are not sure if you have a serious eye injury, call your eye doctor for advice. 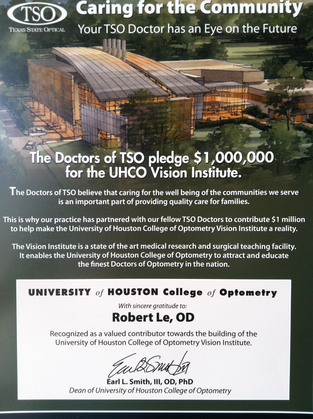 You eye doctor in Sugar Land at Texas State Optical can be reached at (281) 277-3100. In some cases, if you have continuing symptoms of pain, visual disturbance, or bleeding, you should go to an ophthalmologist (a medical doctor who specializes in eye care and surgery). Subconjunctival hemorrhage: If you are not sure that you have this condition, your eye doctor can help with the diagnosis. This condition, like many other eye diseases, should be looked at, but does not require immediate medical attention. Continuing pain and decreased vision after an eye injury or eye surgery can be warning signs that require prompt medical attention. Your eye doctor will be able to take care of you in the office during office hours. Otherwise, go to a hospital’s emergency department. Chemical exposures: If the substance was known to be caustic, immediate medical evaluation by either an eye doctor or in the emergency department is needed, regardless of symptoms. Acids and alkalis are the worst and require immediate attention. If the substance is not dangerous, such as soap or suntan lotion, but is causing discomfort, a visit to the emergency department is not likely to be needed, but a visit to the optometrist’s office may be helpful to alleviate any remaining symptoms. When in doubt, seek medical attention. Lacerations: Cuts that affect the eyelid margins (where the eyelashes are) or the eyeball itself need immediate medical attention. Foreign bodies that are not removed with gentle washing should be evaluated by an eye doctor. Solar retinopathy: Evaluation by an eye doctor is necessary. This is one condition where there is little that can be done in the emergency department. 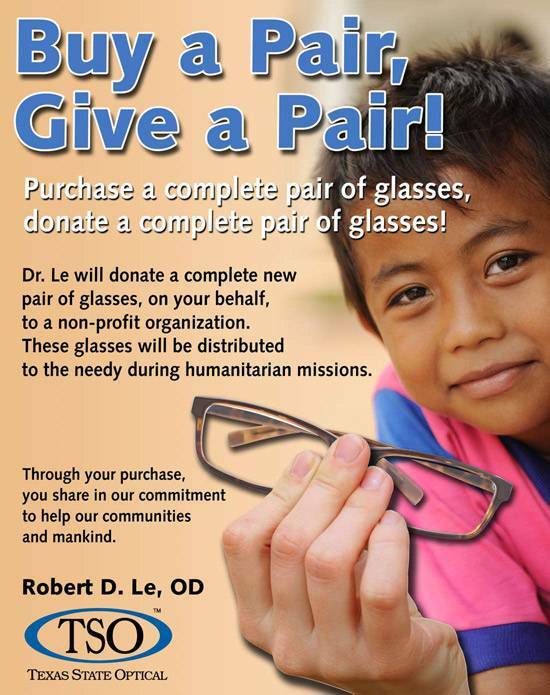 Call (281) 277-3100 for Texas State Optical in Sugar Land, TX.